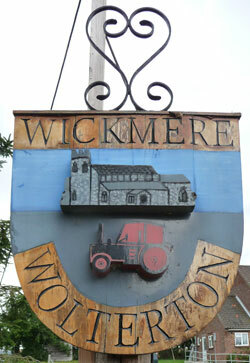 Some might describe quiet, picturesque Wickmere as more of a hamlet rather than a village – many of its few cottages were in fact built to provide accommodation for workers on the Wolterton Estate. This was once the family seat of the Walpoles – specifically Horatio Walpole, younger brother of the famous British Prime Minister, Robert Walpole. Wolterton Hall itself is said to be haunted by ‘The White Lady’ – said to be a member of the Scamler family she appears to warn of trouble or a death in the family! The name Wickmere actually translates as ‘Lake by a dairy farm’ – with the ‘mere’ part of it being particularly redolent of a watery theme. 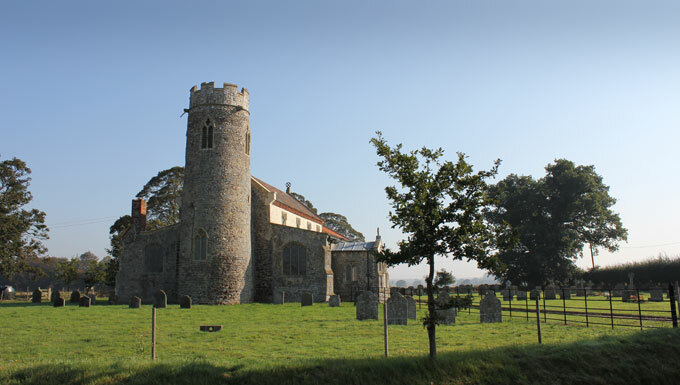 However, since its foundation in pre-Norman conquest times it has grown from obscurity into a beautiful North Norfolk village much beloved by its inhabitants. 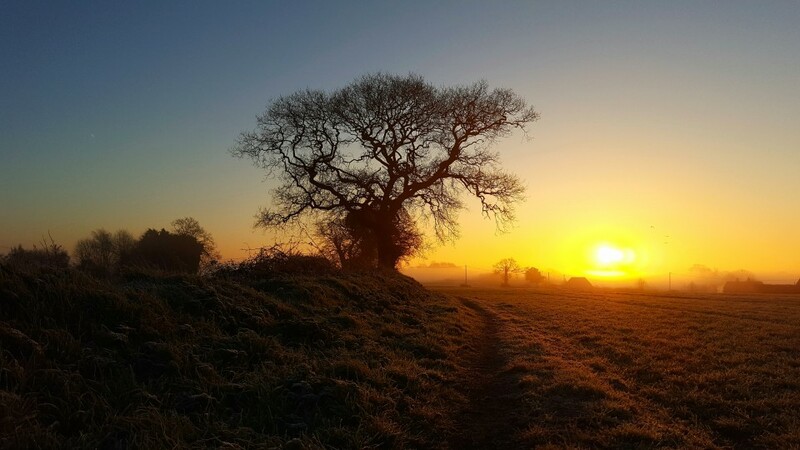 Surrounded by calm country lanes which meander through the woods and farmland Wickmere offers numerous diversions for holiday makers who like to see the countryside by cycle or on foot. The village itself has a very pretty carstone church with a characteristic round tower. Those who venture inside St. Andrew’s can find the tomb of the fifth earl of Orford, a 15th century screen which still has centuries old panels and a white marble cartouche – a memorial to a soldier who died many years ago in Bengal. Placed in the heart of ‘Poppyland’ country Wickmere is close to that famous old seaside town, Cromer, being just over 7.5 miles away from this popular coastal resort. From here the whole of North Norfolk is accessible including Sheringham and Blakeney. Those looking to explore a little further are also within easy distance of the famous Norfolk broads – a network formed of hundreds of miles of beautiful waterways linking some of Norfolk’s most famous villages. Many former visitors to Norfolk, including such luminaries as actor & playwright Noel Coward, have fallen in love with the rural scenes to be enjoyed from the riverbank or the deck of a slowly drifting pleasure boat. Less than 19 miles away is the historic medieval city of Norwich which was actually England’s second most important urban centre after London for several years. Nowadays it boasts many very fine buildings, including a magnificently spired cathedral and a remarkably well preserved Norman castle. Both are considered treasured landmarks of the city and are well worth a visit. Norwich is also an extremely good place to indulge in a little ‘retail therapy’ with two, full-size shopping centres, all the usual high-street stores, a fantastic fixed market place and a heady mix of independent stores selling anything & everything you could possibly imagine! Another wonderful and peaceful holiday away from is all. Our 8th visit I think. Fantastic cosy cottage, All the baby equipment made our first holiday with our 16 month old as stress free as possible. Gemma James and Sam, Kent. It really is the best and most comfortable cottage we’ve stayed in. Definitely be back. Anywhere – even the most remote canal location will seem noisey after being here! Charming, peaceful cottage. Boys loved the garden. Belinda, Alex, Dill & Reney.